For the record, I’m Jewish and have never celebrated Christmas. 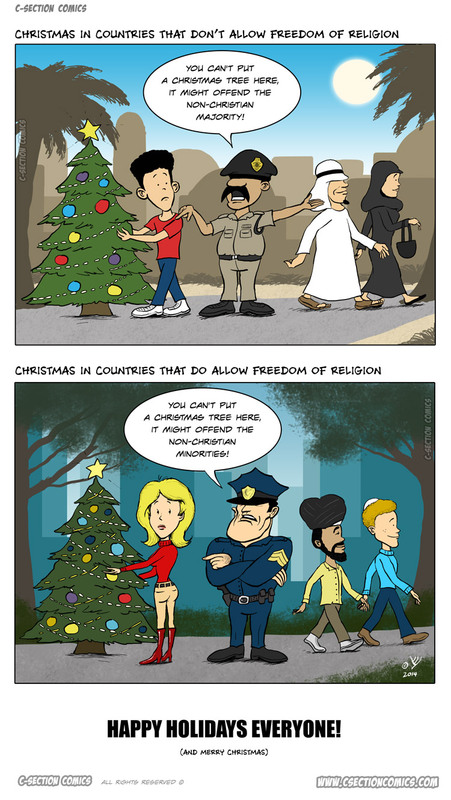 Whichever holiday you celebrate, whether it’s Christmas, Hanukkah, Kwanzaa or Festivus – you should celebrate it proudly, and you should have the right to celebrate it in public. Happy holidays, and see you in 2015!